Sitting on the edge of a cot, alone in his room, Andrew finally let himself begin to relax. His arms started to shake as he mentally forced the pent-up tension to leave his body. He processed the events of the day: watching two people he considered friends get blown away, his suspicions that Bolton intended for him to die with them, and now these revelations of Bolton’s grand plan for the gang… and his plans for those girls he’d been taking in. Andrew squeezed his hands into fists as he felt something stir inside him. He had done plenty of things that were illegal in his life, but this… there was something deep in his gut that told him that this was just wrong. The more he thought about what Bolton implied his intentions were, the more he felt a blinding rage like he had never felt before bubble up within him. It all made sense now: why the girls were being kept away from the rest of the gang, why no one was allowed near them. Bolton didn’t want them “spoiled” for his future plans to use them to sway the powerful people of the city into his influence. Andrew grimaced. Even thinking about it in those terms made his stomach churn. Screw this, he thought as he stood. I’ve got to do something. He paced around the cramped room, racking his brain for a plan of action. Those girls were clearly a vital part of Bolton’s plans, and Andrew could very well be signing his own death warrant if he did anything to threaten that. I have to warn them. But how? It’d be far too risky for him to talk to all five of the girls at once, but maybe he could talk to one of them. In his mind’s eye, he saw the girl who got between him and Bolton when they were arguing before the convenience store job. She was unafraid, even as Bolton towered over her, hand raised, threatening to strike her. Andrew nodded. Yes, she was the one to talk to. He didn’t have long to wait for nightfall, but he had quite a while to wait for everyone to either be out of the warehouse or asleep. Finally, when everything was still, Andrew crept to the room where the girls were kept. After confirming he was unobserved, he slipped a folded piece of paper under the door. He made it back to his room and finally settled in to sleep. The next day passed uneventfully. Andrew stayed at the hideout so as not to risk being caught by anyone who may have seen him during the robbery attempt. He never saw Bolton, which he decided was a good thing as he wouldn’t have to worry about any kind of awkward follow up to their meeting. 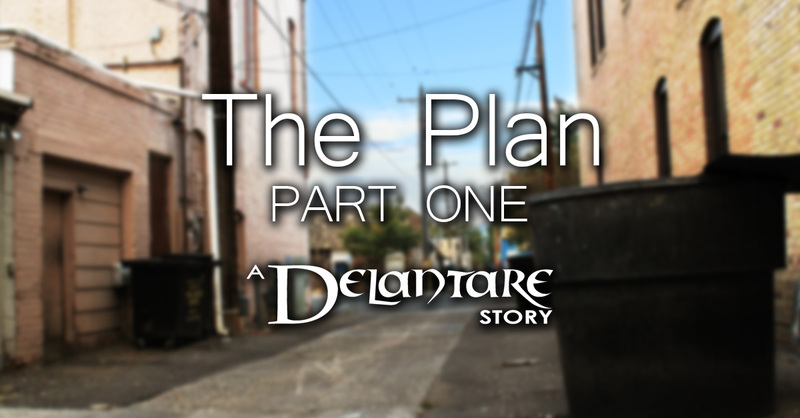 Once night fell, Andrew snuck out to the alley behind the hideout, sat against the wall, and waited. He kept waiting, even as the time he specified in his note came and went. He only began to worry when it approached two hours past the meeting time. He waited half an hour longer before he finally heaved a resigned sigh and heaved himself to his feet. Andrew had no idea he could move that quickly as he spun around, fists up defensively. At first, he didn’t see anyone around. But then he saw some wisps of light brown hair and a pair of dark brown eyes peeking around the corner of the building. “How long have you been there?” he hissed fiercely as he lowered his fists slightly. “I dunno. Not long,” the girl replied as she slipped around the corner. Her eyes darted around nervously, as if expecting to be jumped from all directions at any moment. “You better hurry before they find out I left. I’m not supposed to be outside,” the girl said. Andrew studied her carefully. She appeared to be in her early twenties. The hideout wasn’t big on amenities, but he could tell she was at least trying to keep herself tidy. Her hair was tied back in a loose ponytail that hung past her shoulders, and her t-shirt and jeans had clearly been through a lot, but weren’t too terribly tattered. “First off, I’m Andrew. How about you?” Andrew tried to sound casual, hoping it would put her at ease and make her more trusting of him. “Not-Andrew,” she replied curtly. Andrew raised an eyebrow. Okay, so much for trusting. “Because I figured I could take you down if you tried anything funny,” the girl retorted. She looked at him quizzically. Good, at least he had her attention now. “What, has he been watching too many Batman movies?” the girl snorted derisively. “What do you mean?” she asked, suspicious. She looked away, deep in thought. Andrew watched as her expression gradually moved from suspicion to realization to anger… and then to utter hopelessness. She suddenly locked eyes with Andrew. The hollow despair in her gaze tied a knot in his stomach. A dog barked a few streets away, putting them both on guard. They looked around frantically, making sure they were still alone. The girl began to back away from Andrew toward the corner of the building she had come from. “I don’t know if they’ll believe me. They all seem to really admire Bolton for giving them a place to stay.” She thought a moment longer, and then nodded. The girl nodded and turned to leave. She stopped at the corner of the building. “Hey, Andrew,” she called back. Before he could say anything else, she was gone around the corner. Andrew nodded, determined to do whatever he could to stop Bolton. 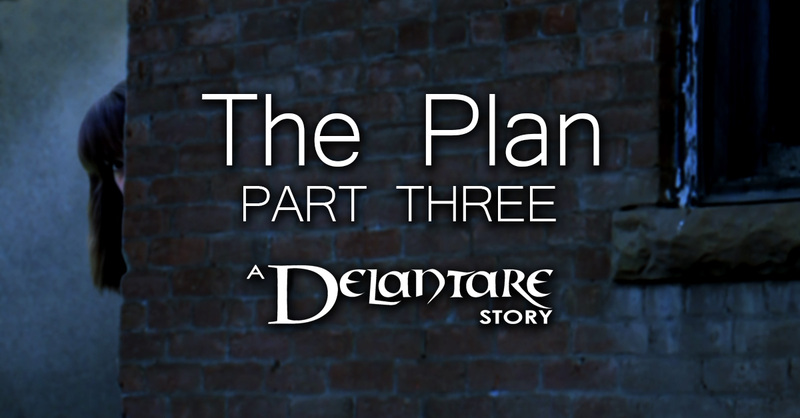 Click here to learn more about the stories of Delantare! Andrew paused a moment, waiting for his eyes to adjust to the dim light. A handful of the other gang members lounged around on old, tattered furniture, enjoying some down time between jobs. The building was an old and abandoned warehouse. No one knew who owned it, but whoever the owner was clearly didn’t care enough to keep an eye on the place. There were several offices around the main space that Bolton had converted into living quarters for any of the members of the gang to use when they needed a place to crash for a few nights. “Bolton here?” Andrew asked the group. Several of them nodded, while one nodded toward a closed door on the far side of the room. Bolton’s office. Andrew approached the door, willing his heart to stop racing as he knocked. “Come in,” a voice rumbled through the door. Andrew pushed the door open and stepped through, closing the door behind him. Bolton sat behind an old wooden desk in an even older tattered office chair. The surface of the desk was covered with scrawled notes, graphs, maps, and an empty beer can. He was a giant of a man, well over six feet of solid muscle. Andrew had seen him in a fight before, and knew just how quickly and savagely Bolton’s huge hands could beat a man. Andrew stood close to the door, well out of Bolton’s reach… just in case. “Andy! How’d it go?” Bolton was surprisingly cheerful. Andrew’s suspicions began to grow. Bolton was never cheerful. “Mark and Jimmy are dead,” Andrew said bluntly. Bolton flinched. He let out a curse and slammed his fist onto the desk, knocking the empty beer can to the floor. “How?! What happened?” he demanded. Bolton stopped in his tracks and glared at Andrew. Another growl rumbled in Bolton’s throat as he fiercely shuffled papers around on the desk, looking over figures and notes. “This is gonna set us back months,” he grumbled to himself. Andrew didn’t like how Bolton kept ignoring his question. “Did you have any problems with the cops?” Bolton asked, barely looking up at Andrew. “Well that’s good at least,” Bolton muttered. He sighed suddenly, letting his head droop for a minute as he calmed himself. Andrew watched, not sure what to say. Eventually, Bolton straightened to his full height and heaved a resigned sigh. Bolton waved the remark aside as he circled the desk and lowered himself into his chair. He gestured to another torn office chair gathering dust in the corner of the small room. Andrew pulled the chair over to the front of the desk, being sure to not turn his back on Bolton. He practically fell into the chair as his legs suddenly gave out, the stress and panic of the day finally catching up to him. Bolton leaned back in his chair, running his hands over his slicked-back hair. He studied Andrew for a moment, his face betraying nothing that could tell Andrew if he harbored any ill will toward him. “I’m talking,” Bolton interrupted. The volume hadn’t changed, but there was a power behind his voice that even Andrew knew better than to defy. He clamped his mouth shut. Andrew wasn’t sure if it was safe to speak yet, though he couldn’t help but raise an incredulous eyebrow. Bolton noticed and a sly smile crept over his lips. “So, what, you want to build some kind of criminal empire?” Andrew couldn’t help asking. Andrew nodded slowly, processing it all. Bolton was a dynamic leader and knew how to inspire confidence and loyalty in others. It was a trait that Andrew admired, and was a big part of why he had joined up with him in the first place. He had no idea the man was so ambitious, though. Sure, all the guys in the gang swapped day dreams of being wealthy and powerful some day, but Andrew didn’t think that they realized their boss was actually planning on making it happen. It certainly explained the increasing riskiness of their robberies, and the recent flood of new people joining up. Thinking of the newcomers, Andrew had a sudden concern. A lot of the newcomers had been young women, which no one ever seemed to see much of once they arrived. There was an unspoken vibe that they were off-limits, under Bolton’s special protection. There was a decidedly unfriendly gleam in Bolton’s eye. His smile died. “Don’t worry about them,” he replied curtly. Bolton kept silent for a moment, eyes locked with Andrew. Andrew stared back defiantly. The corner of Bolton’s mouth twitched. Something about Bolton’s tone and demeanor made Andrew realize he was treading dangerous waters right now, and he needed to back down before he got hurt. He kept his face a passive mask. Bolton stared at him hard, daring Andrew to defy him; to question him further. Andrew stayed quiet. Bolton nodded slowly, as if in approval. Andrew nodded and took that as his cue to leave. He stood up and moved toward the door. As he gripped the knob, Bolton spoke after him. Andrew didn’t look back as he closed the door behind him so that Bolton wouldn’t see the seething anger on his face. Click here to read Part 3! Well, that certainly could’ve gone better. Andrew’s breathing was finally slowing down as he crouched in the alley between two large dumpsters. The police sirens had moved on, and the noise of the city was settling back into its usual dull rumble. Andrew checked himself, just to make sure that crazy convenience store clerk hadn’t winged him in all the shooting. He was in his early thirties, and the black shirt and jeans he wore complemented his athletic figure well. He seemed to be unscathed… which was more than he could say for Mark and Jimmy. Andrew grimaced at the all-too-recent memory of his accomplices being shot down by the 12-guage shotgun the clerk had whipped up from under the counter. He desperately tried to think of something else as he felt his stomach churn. Andrew pulled himself up to his feet, using the alley wall to steady himself as his knees trembled. The whole operation was a fiasco, and it was a miracle he was able to escape without being shot or being caught by the police who arrived moments after he fled. It should have been a simple robbery. Just a quick cash grab, in and out. Three of them, one clerk. Andrew hadn’t even loaded his pistol, figuring the sight of three guns in her face would’ve been enough to scare the old lady into emptying the register. It should’ve been as simple as Bolton had said. A frustrated sigh escaped Andrew as he thought about how he was going to explain to Bolton what happened. He had a good rapport with the gang leader, but he had seen just how devastating the man’s hair-trigger temper could be. Andrew briefly wondered if he could beat Bolton in a fight if he had to defend himself, but he quickly dismissed it. Sure, he could hold his own, but Bolton was huge. Even if he did manage to beat him, he’d get such a pummeling in return, it probably wouldn’t be worth it. A car passed one of the alley openings, interrupting Andrew’s train of thought. He needed to move. He quickly stripped off his black shirt and jeans and chucked them, along with the balaclava he wore at the store, into separate dumpsters, leaving him in a white v-neck shirt and snug jogging shorts. He plugged some ear buds into his phone, and shoved it into the shorts’ pocket. He moved to the opposite opening of the alley, confirmed he was clear, and took off at a casual jog, making sure his route wouldn’t cause any suspicion if someone was watching him. Thankfully it was the middle of summer, so his disguise didn’t draw any undue attention. In fact, he passed two other people out on their own evening jogs. As he made his way toward the gang’s hideout, Andrew began to analyze what went wrong with the convenience store job. How had they not known the clerk was armed? Bolton had sent people in to case the place over the past month. They should’ve known about a big, freaking shotgun behind the counter! Andrew’s jogging slowed as he felt a suspicion rise in the back of his mind. What if Bolton did know and he sent Andrew in anyway? Andrew had been disagreeing with Bolton’s orders more lately. The plans were becoming too big, too risky. The targets were becoming too sophisticated for a small band of petty thieves to pull off. And then there were the women that Bolton had started taking in, straining their already limited resources. Andrew had recently voiced his concerns that Bolton was being too reckless, which had turned into a shouting match that would’ve ended in a fight if one of the new girls hadn’t stepped in. Bolton had about decked her for that, but he restrained himself, instead storming off to, Andrew presumed, blow off steam elsewhere. The thought came again as he approached the back entrance of the tumble-down building that the gang used as their base. Did Bolton know about the gun? Andrew slipped inside, unsure what he would do if the answer was yes. 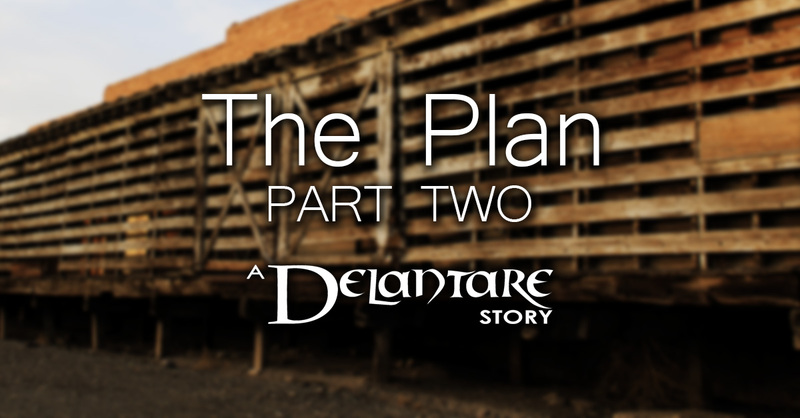 Click here to read Part Two! Be the first to learn the latest as production progresses!